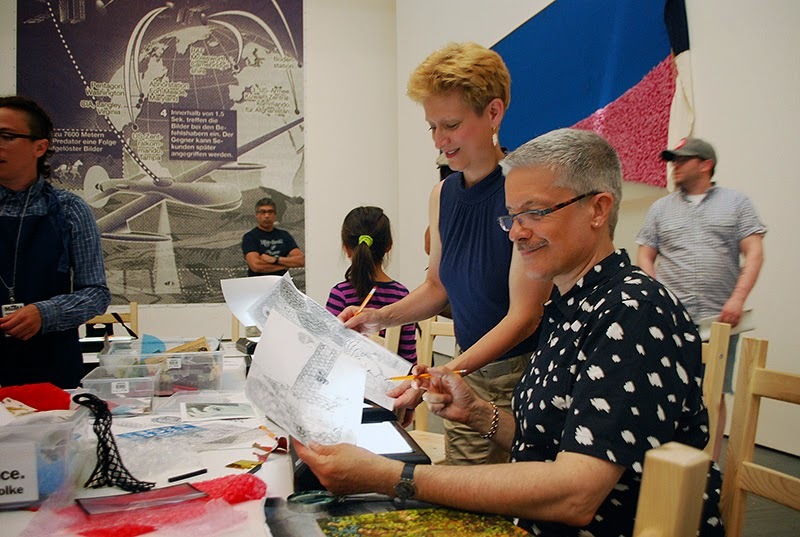 As part of our ongoing research and commitment to public and socially-engaged art, DOEprojekts (Deborah Adams Doering and Glenn N. Doering), participated in a number of programs that have been conceptualized, designed, and supervised by a variety of international artists. 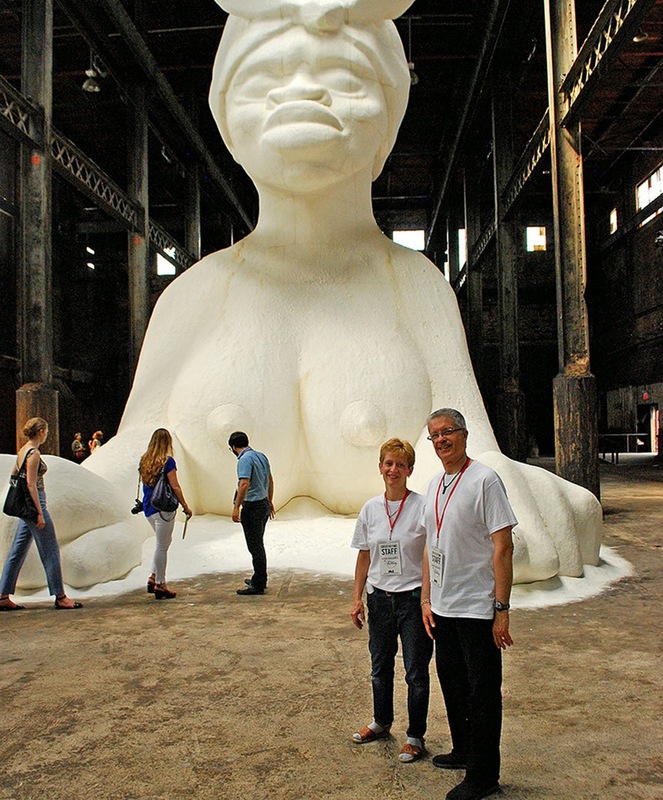 Creative Time, NYC, commissioned artist Kara E. Walker to create a large installation at the soon-to-be demolished Domino Sugar Factory in Brooklyn, NY. 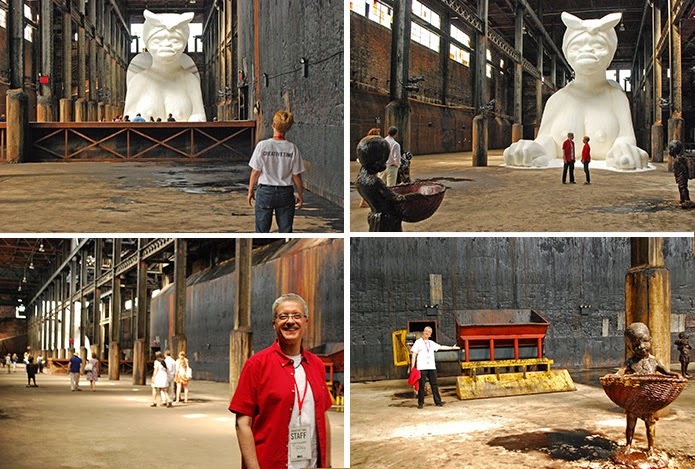 As two of approximately 40 volunteer "Wayfinders," we assisted public visitors in a variety of ways, providing information and/or a "listening ear" about Kara Walker's installation. 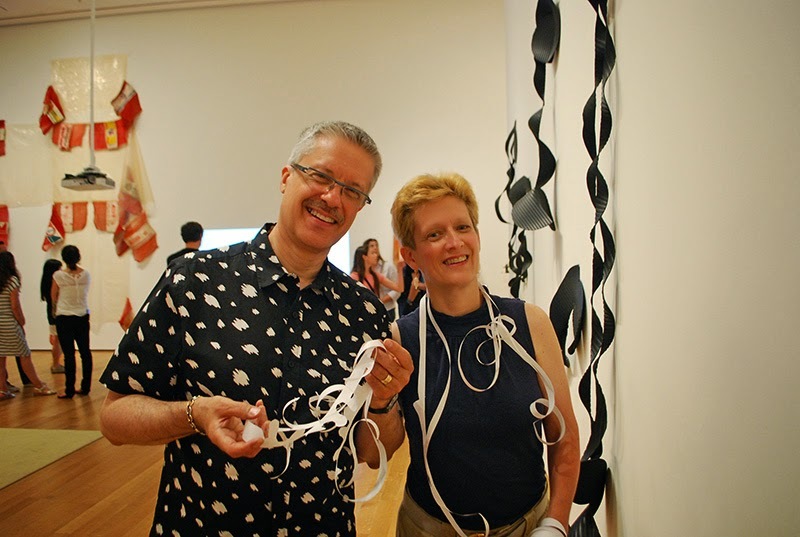 We also helped protect and preserve the individual sculptural works. 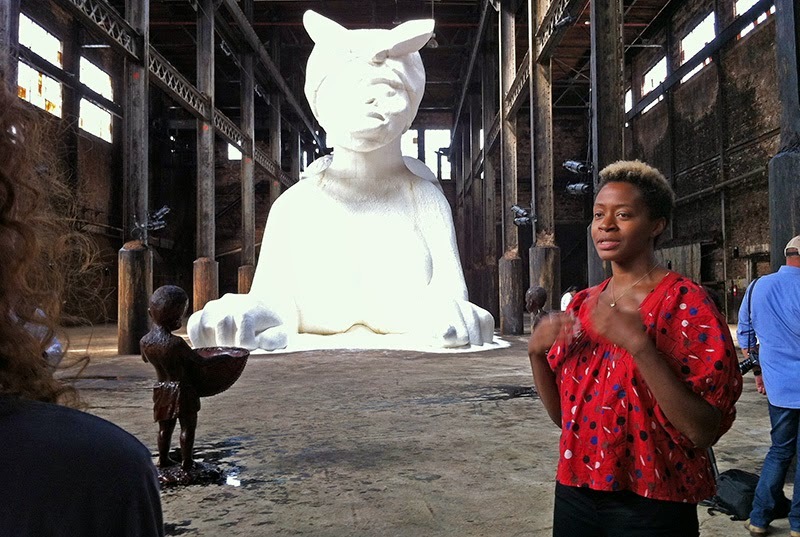 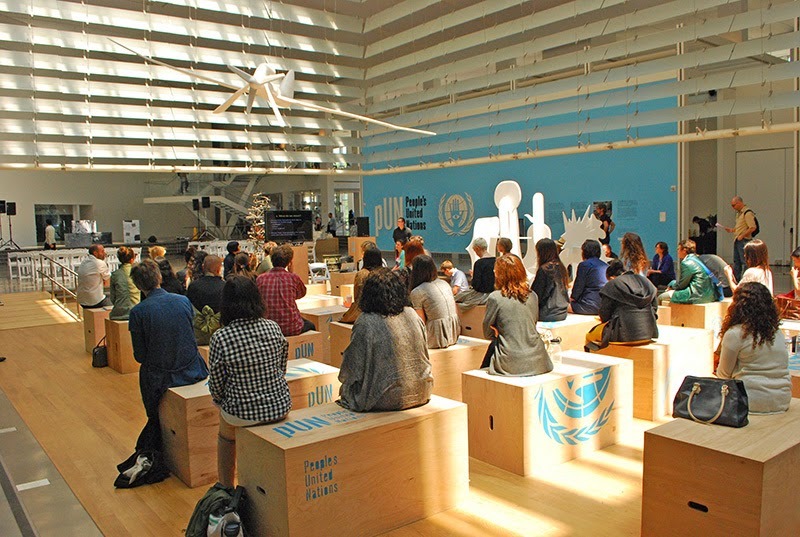 Above: Kara E. Walker speaks about her work. 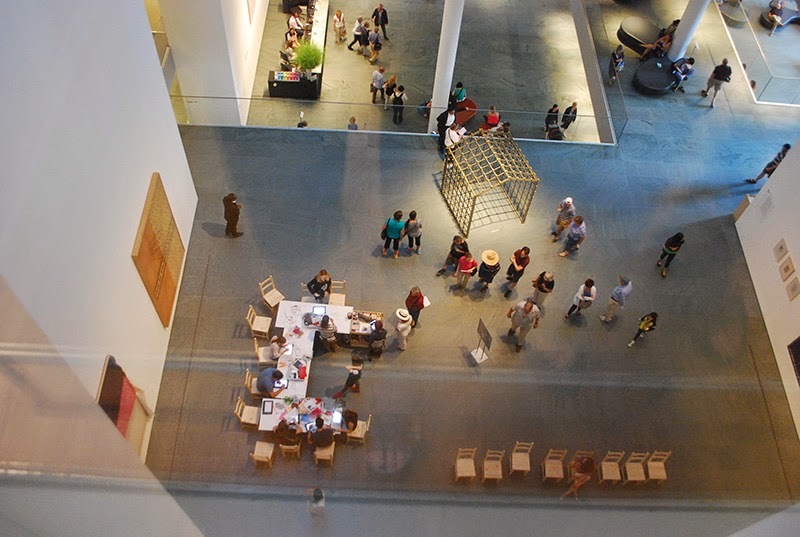 The Museum of Contemporary African Diasporan Art (MoCADA) invited artist Shantell Martin to create an installation incorporating her fluid signature mark-making imagery on each and every wall of their gallery space. 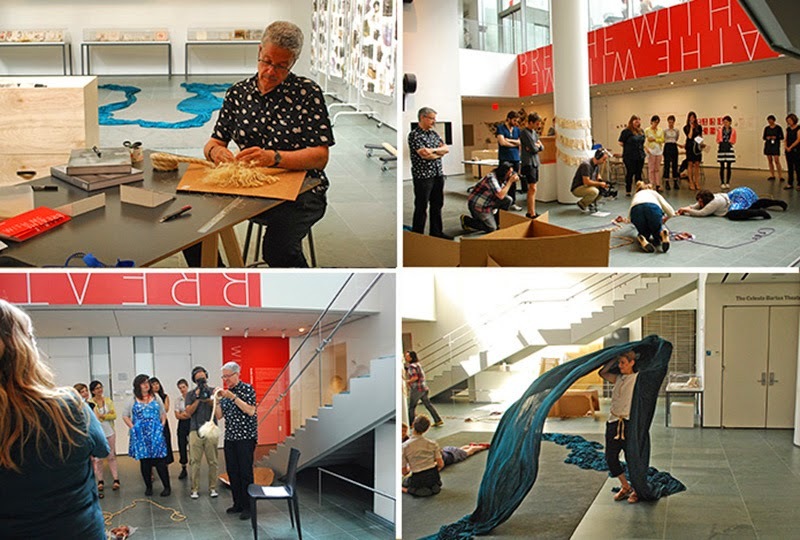 We visited MoCADA, located in Brooklyn, several times. 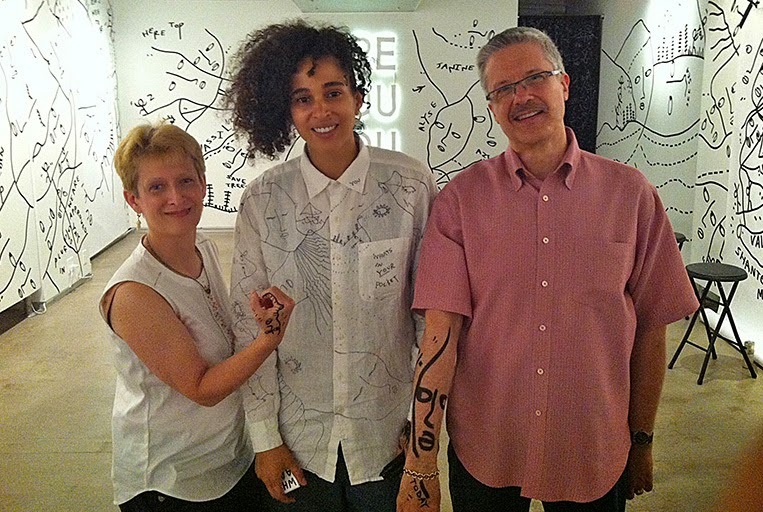 On our last visit, we were fortunate to meet Shantell, and also Isissa Komada-John, Exhibitions Director. 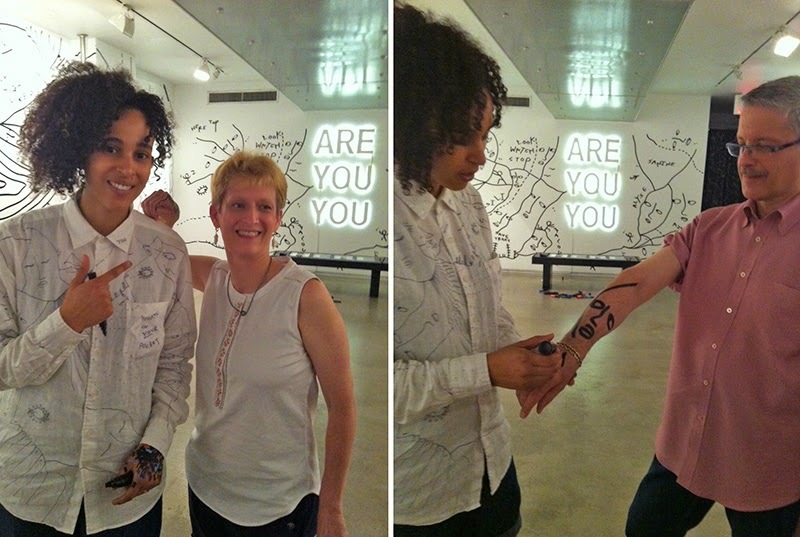 We participated in MoCADA's "Drawing on People" event. 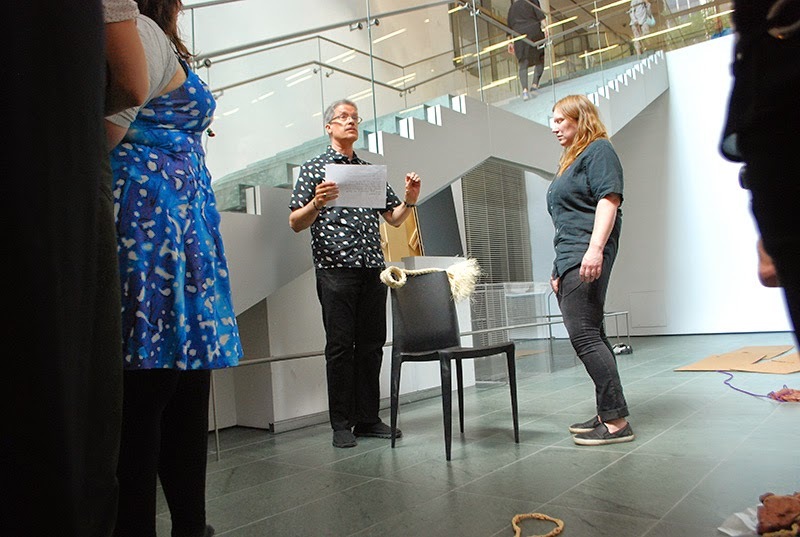 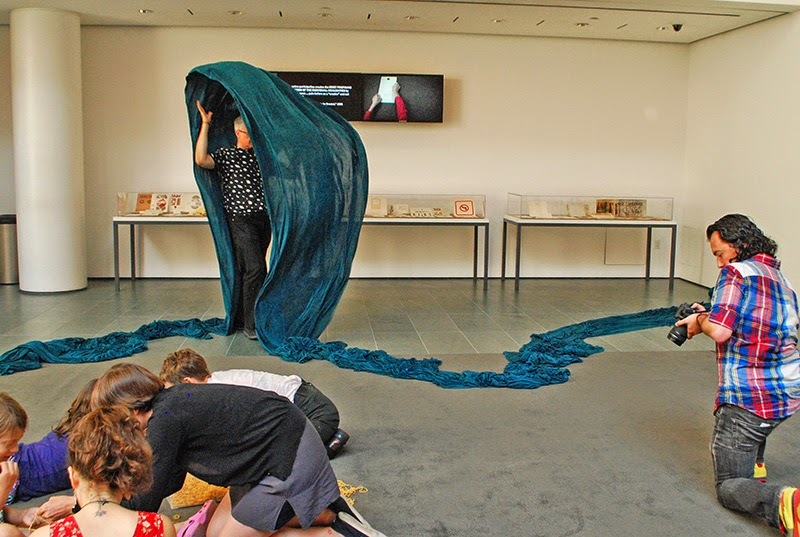 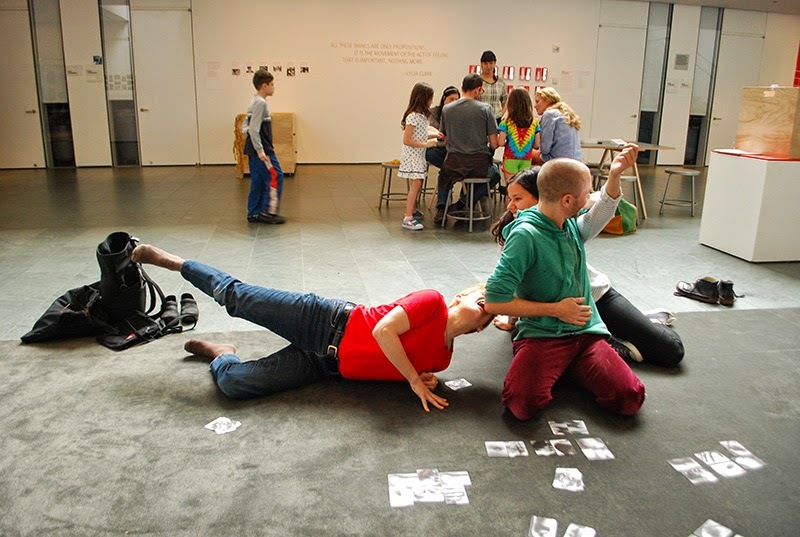 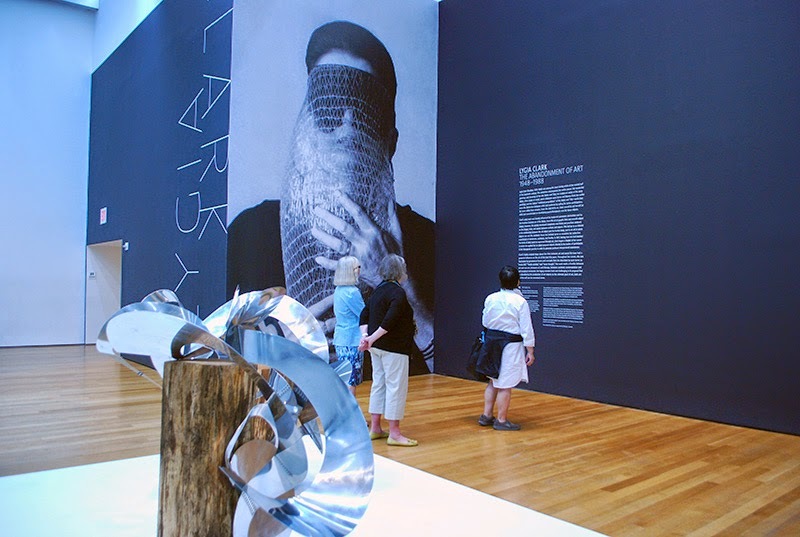 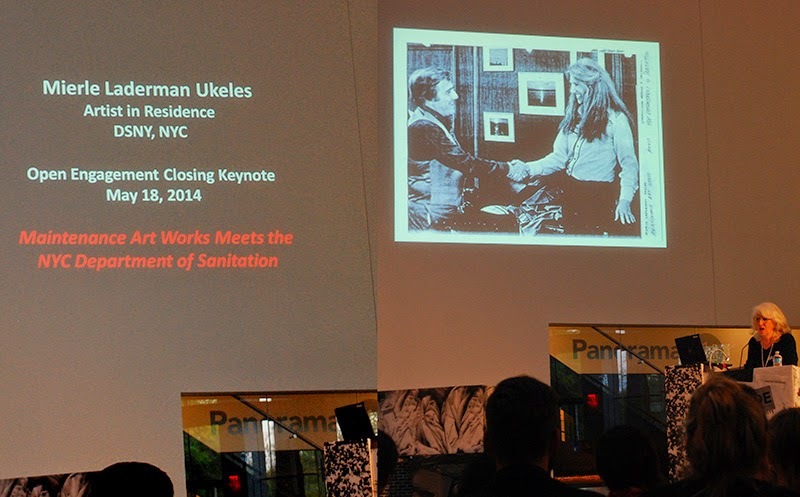 The Museum of Modern Art, NYC, hosted a number of different opportunities for artist participation in relationship to the retrospective of Sigmar Polke (Born in Poland / Died in Germany, 1941 - 2010) and the transformative work created by artist Lygia Clark (Born and died in Brazil, 1920 - 1988). 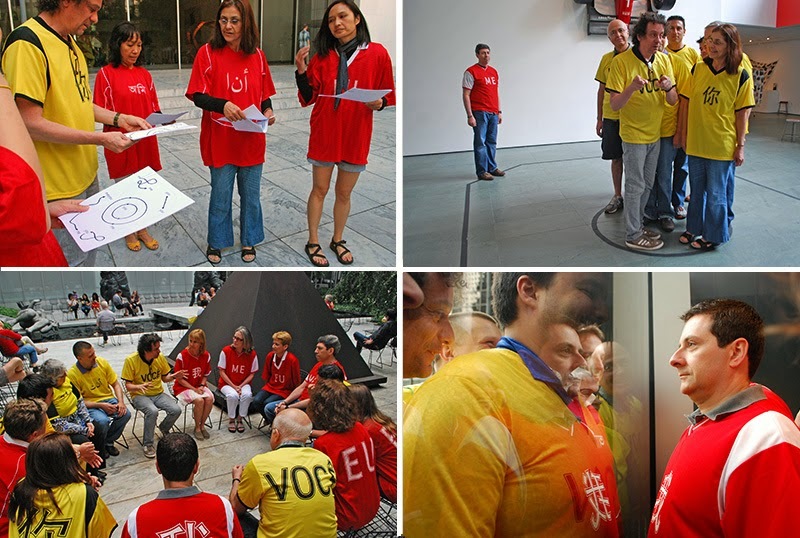 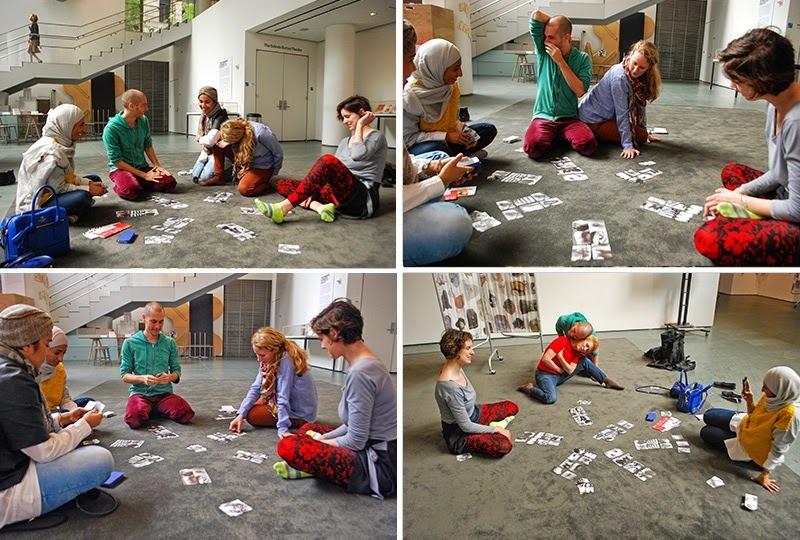 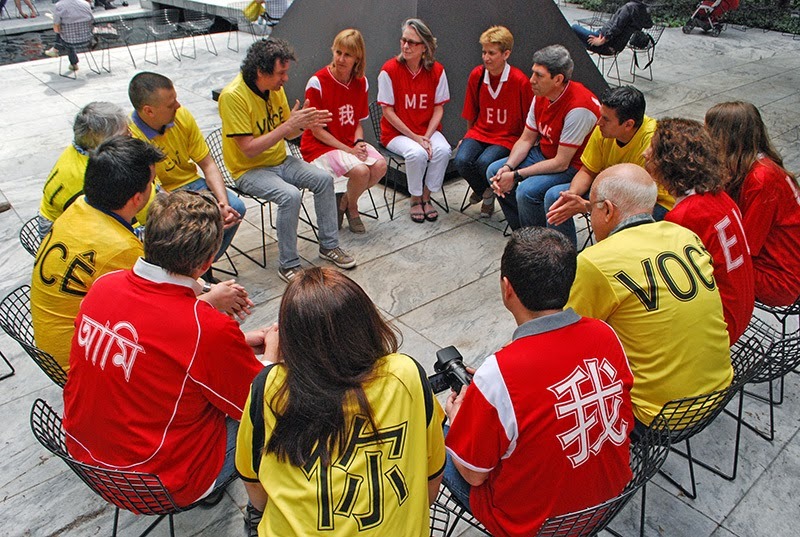 We attended a number of different participatory workshops led by various international artists including: Carlito Calvarhosa, Michel Groisman, Ricardo Basbaum, and Jeanine Oleson. 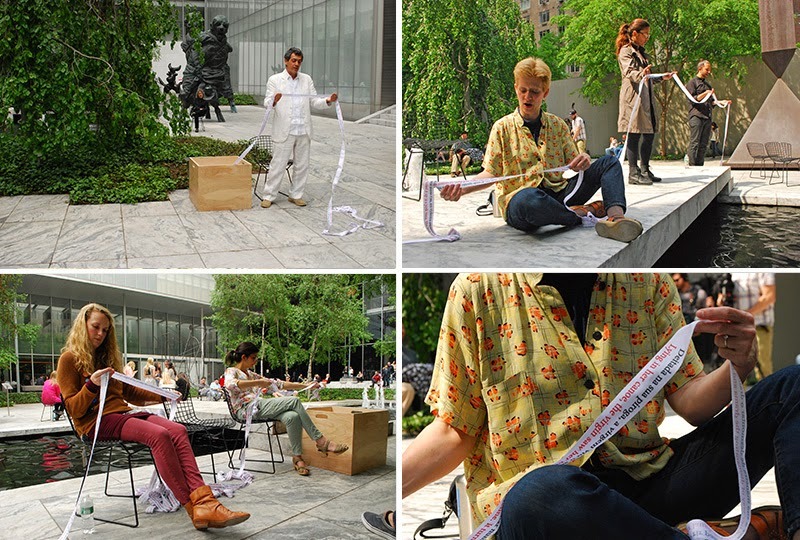 We thank these artists for the opportunity to learn and contribute in MoMA's educational studios and sculpture gardens. 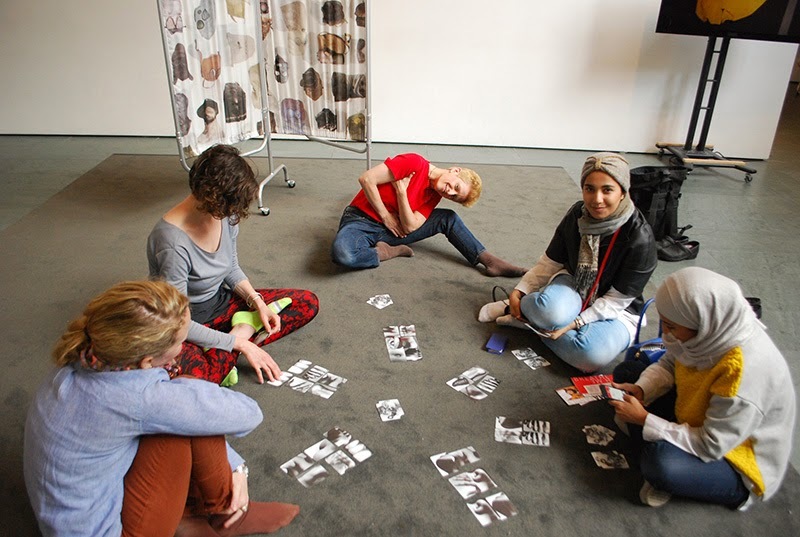 We trust that our experiences will enhance the upcoming public and social-engaged work of DOEprojekts.